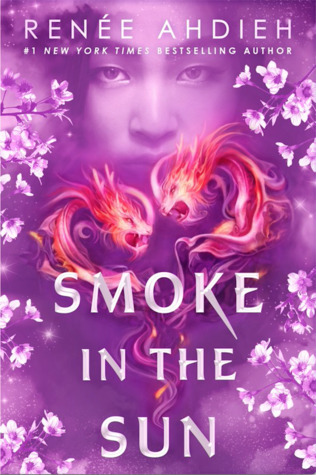 Review in a Nutshell: Smoke in the Sun is a beautifully written, magical sequel to a fantastic book. Smoke in the Sun follows the events of Flame in the Mist, immediately jumping in where the previous book left off. It is full of magic, politics, and manipulation. There is plenty of drama, and the romance is just as great as it was in the first book. While it definitely took me a minute to jump back into this world after a year has passed since I read the first book, the intriguing plot had me hooked. It does feel a little slow in the beginning (something I noticed with the first book as well), but the pace does pick up. The ending does feel a little abrupt, with everything happening very quickly and just a short epilogue after it. The setting is very interesting. I haven’t read many books set in Feudal Japan, nor do I know much about it to begin with, but that just made me more interested in this world. Renee Ahdieh has a talent for diving into these cultures and teaching you things about them while also not overwhelming you. I can’t say how accurate anything is, but I loved it either way. The fantasy aspects of the world were also handled beautifully. It is pretty vague on certain elements, and I really wished it was explored further, but I still loved the descriptions of the magic and seeing it in action. Renee Ahdieh’s writing style is so breathtakingly beautiful, absolutely absorbing you in the story and in the world. The characters in this book are all amazing. Smoke in the Sunfocuses more on some of the side characters than the first book did, truly fleshing them out and making them well rounded and just as interesting as the protagonists. Also, I loved Okami’s character development in this book, as well as his relationship with Mariko. I love them so much. Renee Ahdieh really emphasis some great themes in this book. Her narrative is very feminist and progressive despite being historical, and I was 100% here for it. I loved Mariko, Yumi, and even Kakano’s independent natures and their desire to rise above what they were told they can be just because of their gender, or even using their oppression to their advantage. This book is full of great moments between the women, and I loved seeing how strong they were. Also, there was some LGBT rep which made me SO happy. The first book honestly felt so gay without being gay (lets face it, Okami is a little gay just look at how he treated Mariko when he thought she was a guy), and now this book actually has some ACTUAL GAYS!!! I was screaming. It was great. Smoke in the Sun is a novel full of beautiful writing, fascinating politics, great themes, and layered characters. This book is sure to leave an impression.